Our next fund-raising Table Quiz will take place on Wednesday 26th November at Fitzgerald’s pub in Sandycove. Registration will be at 7.30pm and the Quiz will start at 8pm. It costs €10 per person and teams of four can enter. Our quiz evenings are always great fun and there are good prizes to be won, so please bring along as many family members and friends as you can. It’s a big fundraiser for the society. 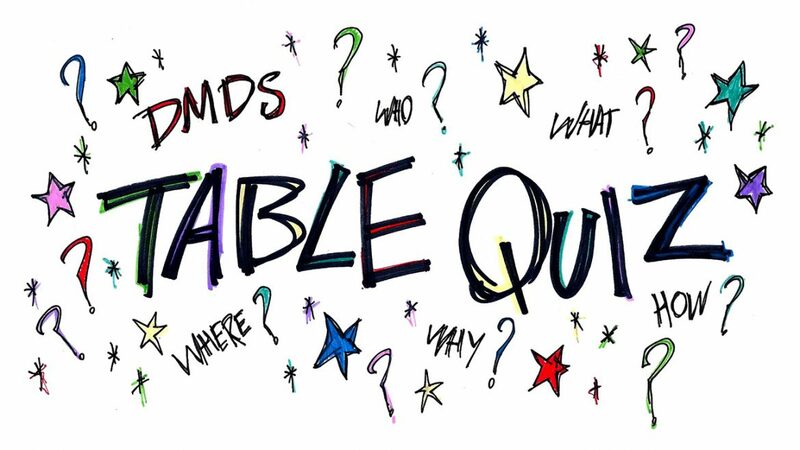 So that we have an idea of numbers, please email tablequiz@dmds.ie as soon as possible to let us know that you will be entering a team. Enjoy brushing up on your knowledge!